1. Muddle pineapple, jalapeño, and lime wedges with ice in a pint glass. Add tequila, triple sec, and simple syrup. 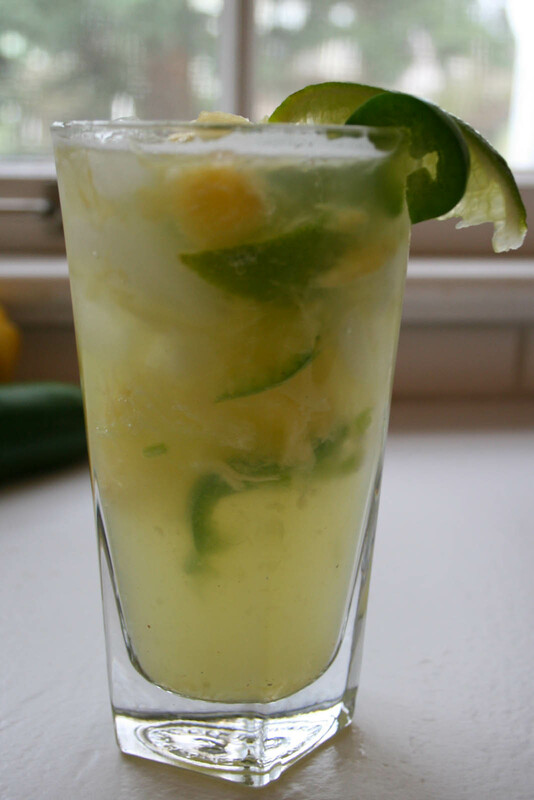 Shake briskly and garnish with a chunk of pineapple, jalapeño or lime. This entry was posted in Drink and tagged cocktail, fresh pineapple, jalapeno, margarita, spicy margarita, tequila by autumnadams4. Bookmark the permalink.